You can earn 210 yards with this purchase! The Pathfinder 4 folds in two simple steps and has an even smaller folded footprint. 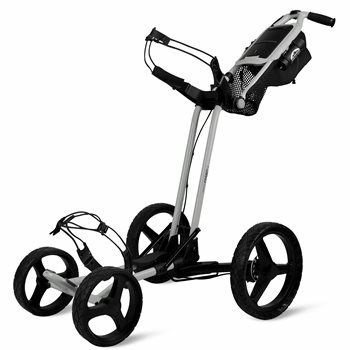 With new upper and lower bag brackets to nest your bag in the cart. As well as working equally well for cart and bag.